The Fraser Institute says Quebec's debt load is "worryingly high" – the highest in Canada and worse off than most indebted US states. In a series of essays , the right-wing think tank points out that Quebec's provincial debt is in dire need of being controlled. Quebec's provincial debt was $175.5 billion in the 2012-2013 fiscal year; 49 per cent of the Gross Domestic Product. It was $37.6 billion in 1990-91. In Ontario, which has also been criticized for growing debt levels, the ratio is 37.5 per cent. The essays point out that because of the steadily increasing debt load Quebec's provincial government has to pay a higher interest rate to lenders, and is currently paying $9.8 billion a year in interest alone. “To put that in perspective, that represents over 11 per cent of revenue the government brings in. In other words, 11 cents on every dollar is going towards servicing the debt instead of things,” said Sean Speer of the Fraser Institute. The total debt breaks down to more than $43,000 for each working taxpayer. 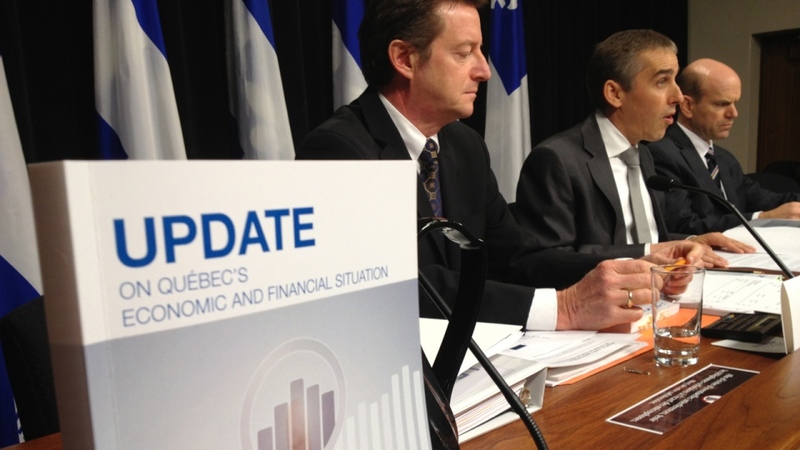 The authors say if Quebec does not rein in spending the debt could increase to 57 per cent of GDP by 2022-2023. The numbers forced politicians on the campaign trail to react Tuesday. “We're concerned about this issue. 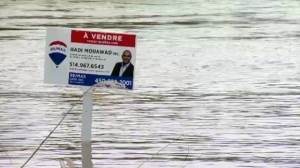 It is not critical but it is manageable,” said PQ minister Jean-Francois Lisee. The report said both the Liberal and PQ governments failed to control spending over the last two decades. Both parties say they have a plan. “We're putting $1.5 billion towards the debt. We could have decided that we'd have a lower deficit by not putting $1.5 billion towards the debt, but it's $1.5 billion last year, $1.5 billion this year and $1.5 billion next year,” said Lisee. The Liberals say the PQ added to the problem. “This is very important. They've added $4.25 billion more into the deficit because they are incompetent, because they have presided over a major slowdown in the Quebec economy and we have to revert this very quickly so our emphasis at the beginning will be to restore economic growth,” said Liberal candidate Martin Coiteux. Compounding the challenge, interest rates are unlikely to stay low forever, so interest payments on the debt will only go up over time. Both parties say they won't raise taxes, thereby spending money the province doesn’t have.